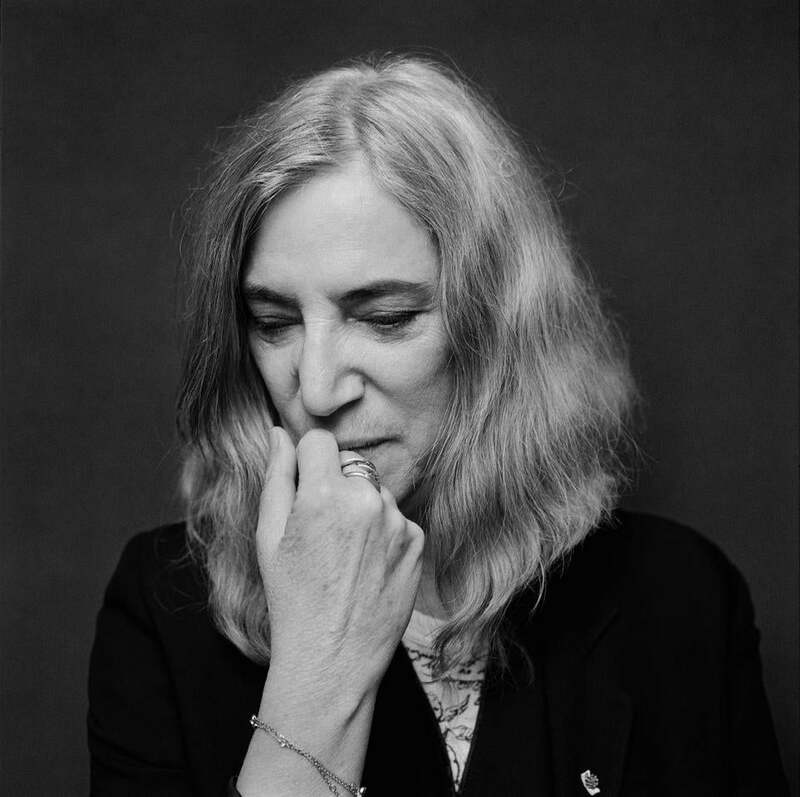 In “M Train,’’ her second memoir, Patti Smith finds comfort in writing, travel, and philosophical musings. In Patti Smith’s first memoir, “Just Kids,” she told the story of her friendship with the late photographer Robert Mapplethorpe, from their early days as impoverished hipsters through their twinned rise into the avant-garde stratosphere to Mapplethorpe’s death from AIDS. “Just Kids” bypassed the rose-colored drug nostalgia and egregious name-dropping found in many of the memoirs of other famous artists who survived 1970s New York. Instead, the book’s haunting prose earned Smith a well-deserved National Book Award and proved her to be as gifted a nonfiction writer as she is a part of art-rock royalty. Now comes “M Train,” Smith’s second work of memoir, a book closer in spirit to her shambolic, freewheeling musical style than its narrative-driven predecessor. Like one of Smith’s songs, “M Train” weaves poetry, dreams, art, literature, and conversational fragments into a phantasmagoric, atmospheric, and transportive whole. The aim, though, is not immediately apparent. Smith begins the book with a description of a dream and an italicized quote from an imaginary cowpoke: “It’s not so easy writing about nothing.” Although a start like this could strike fear into the hearts of cynical readers worried that Smith has perfunctorily fulfilled a multibook contract, the work’s larger purpose reveals itself over time. Where “Just Kids” concerned Smith’s hopefulness, hunger, callowness, and loss, “M Train” is about being lost and found. Set during an indeterminate period following the 1994 death of Smith’s husband, MC5 guitarist Fred “Sonic” Smith, the book finds her living alone in a New York apartment and spending her days engaged in the comforting, if solitary, routine of agonizing over her writing while sitting at a corner table at a West Village cafe. Her husband gone, her children grown, her place secured in the firmament of 20th-century artists, Smith strives to eke out meaning from bereavement and the knowledge that she has outlived so many she holds dear. Armed with a Polaroid camera, her notebooks, and a tattered copy of Haruki Murakami’s “The Wind-Up Bird Chronicle,” Smith travels to Tokyo, London, and Rockaway Beach. She becomes a professional mourner of sorts, visiting the graves of writers and the house where Frida Kahlo convalesced and died. Her journeys take her across decades, continents, and the vistas of her own mind. She encounters friends and fellow travelers. She sings with chess hero Bobby Fischer in a basement and holds conversations with a quilt. There’s an appetite for memoirs by smart women rockers, and Hynde, founding member of The Pretenders, serves up a hearty and satisfying meal. She probes intellectual touchstones like Henrik Ibsen, Mikhail Bulgakov, and Murakami with playfulness and depth, trying her hardest to do right by their visions and hear what they’re trying to tell her. A magpie, she devours crime shows with equal vigor, from “Law and Order” to “CSI: Miami.” Here, she reveals that she could have a brilliant career as a TV critic: Her elegiac passages on “The Killing” comprise some of the best TV writing in recent memory. Smith has no self-consciousness about the art she loves, and the truths they afford her are honest and hard won. By the end of the book, she has purchased a bungalow, drunk innumerable cups of black coffee, and come to some resolutions about her life, none of them easy or pat. “— I salute you, Akutagawa, I salute you, Dazai, I said, draining my cup. — Don’t waste your time on us, they seemed to say, we are only bums. I refilled the small cup and drank. With two books this wonderful, she has no choice but to be.